Enterprise 2.0: What lies ahead? It has been has been a very tumultuous year in business and the software industry, filled with new theories and insights, especially in the area of social product innovation. •	The flattened organization: This is the notion that social collaboration will enable both internal and external stakeholders to openly connect across the organization, abolishing communication silos and as Donston-Miller explains will “break down hierarchical barriers” to communication. In product development, a flattened organizations will mean more visibility into projects, increased teamwork, better decision making and overall increased productivity. •	The voice of the customer will become bigger and more vocal: As the social web continues to evolve, customers will increasingly use it as a channel to voice their opinions and communicate their issues to organizations- a trend that cannot be ignored. To stay ahead of the competition, it will be highly imperative for organizations to have the right tools to capture, respond to and integrate customer feedback into their process, especially in product development. •	Customer service will have a big online presence: Consider this. According to Karim Guessous, co-founder and CEO of Tradepal, “50% of customer service will be conducted via social networks…whether FAQ, help, or even one-to-one support.” This means organizations will have to invest in social tools (like help desk management technologies) that will enable them to capture, manage and resolve issues being aired out over the social web. For product development, this is a great opportunity to leverage customer issues and problems into the development process, to improve product features and future releases. 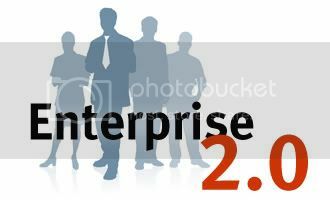 It is clear that enterprise 2.0 trends mean big changes for social product development, particularly how we develop and deliver products to market. We are already seeing co-creation, and the increased involvement of all stakeholders, being integrated into the product development process, as well as increased interest, from organizations, in social technologies like social media monitoring, online customer service, and idea management tools. One thing to note is that though these are predictions made for the next 5 years, these changes in enterprise 2.0 are happening now- and in order to get and remain ahead of the curve organizations will need to think about how these trends will impact their current and future business strategies and what they plan to do to thrive in the marketplace. We want to know: What other social trends in enterprise 2.0 have you observed this year?